Owners Peter Rees-Jones and Eric Holliday (right) had often wondered what would be an appropriate way to help repay those countries that had played such a large part in their lives. They had supported various charities over the years but wanted to do something different. The answer came in the form of Wales’ national game – RUGBY. Rugby is a rapidly developing sport in India and other South Asian and Far Eastern countries, and as NEI (UK) is a Wales based company, what could be more appropriate than to play a part in the development of the game in these countries? Especially as the people helping develop rugby in India are Welsh – in Goa it is Bee Trotter and her husband Dave who both hail from Swansea and Paul Walsh from north Wales, now based in Kolkata. The popularity of rugby, particularly among the thousands of youngsters playing at grass roots level, has thrown up a problem: a lack of coaches. 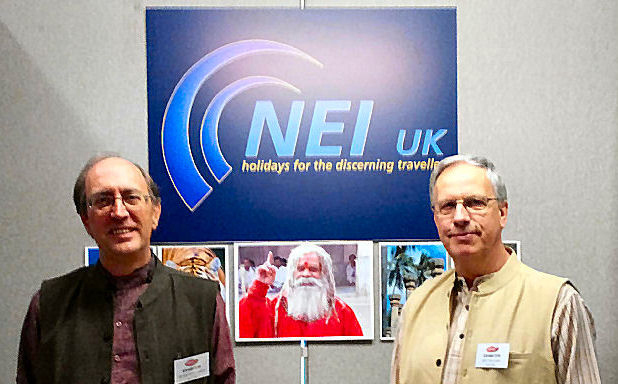 Peter and Eric have formed a Not For Profit Community Interest Company, the International Rugby Coaching Initiative (IRCI) with the aim of finding volunteers to travel to India and Sri Lanka to coach these youngsters. A website www.irci.co.uk has just been launched which provides more information. IRCI is now fundraising to make sure that a steady supply of volunteers is available to travel abroad and take part in this worthy cause. Donations of outgrown or unwanted kit are also welcomed. Companies small and large and individuals are warmly invited to participate via very affordable sponsorship. 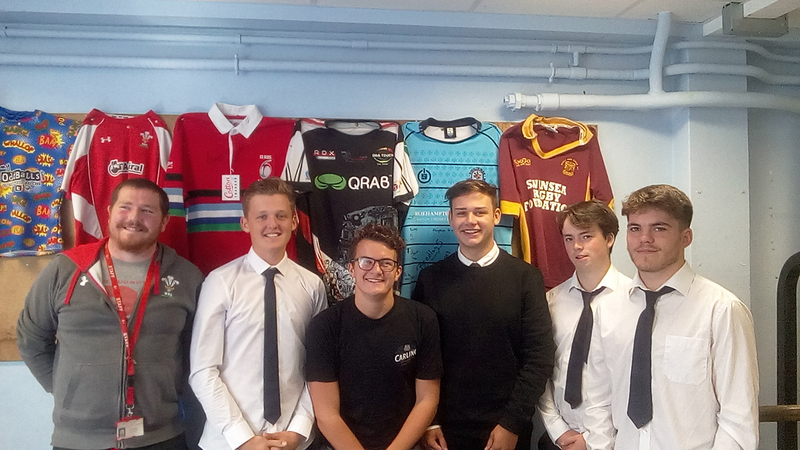 Mr Liam Evans and five boys at Bishop Gore School (right) in Swansea who hope to travel to Goa in December 2017 to help coaching with Goa Rugby. The school is known for its rugby prowess.